The 6.6L Duramax diesel motor that is in the Chevy & GMC trucks does not have a factory installed lift pump. 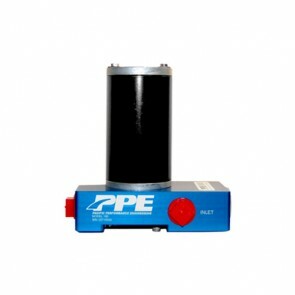 This requires the CP3 Pump, better known as the injection pump, to not only keep a constant pressure in the high pressure fuel rail which feeds the Injectors, but also pull the fuel from the tank and through the factory Fuel Filter assembly. There is a lot of unneeded stress put on the CP3 pump especially when you are installing a tighter micron Fuel Filter to better protect the your fuel injectors and fuel system. 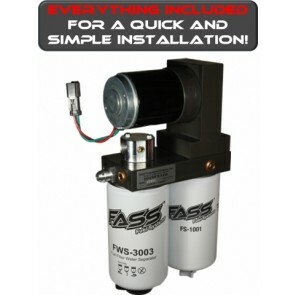 We at East Coast Diesel strongly recommend installing an electric lift pump system Such as the FASS Fuel System or Airdog System, to relieve the stress on the CP3 pump. 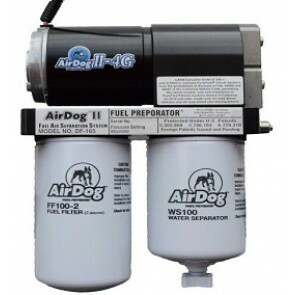 These systems also have a much better fuel filtration, water separation and added the benefit of air separation. This is a far superior setup then the factory installed setup.